The tipping point for consumer adoption of electric vehicles is still a ways off but for manufacturers, it appears to be very close. The 2017 Frankfurt Auto Show is an indication of the massive shift happening in the industry. There’s a slew both advanced electrified hybrids and all-electric vehicles coming. 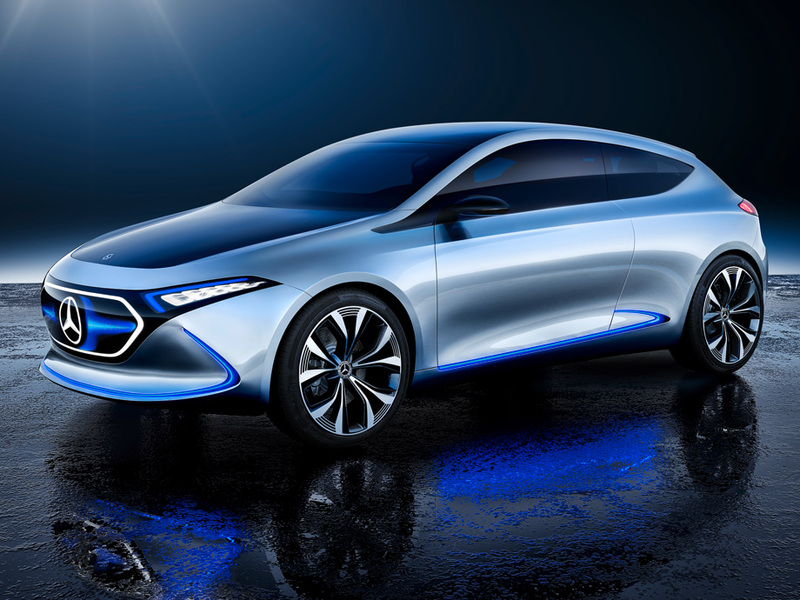 The biennial home show for German brands like Mercedes-Benz, BMW and Audi is traditionally a big news event for automotive design and technology. For 2017 the focus was clearly on offering a clearer picture what sorts of electric vehicles the German brands are looking to produce. The all-electric Aicon concept is a design study for what an Audi sedan could look like in a decade. 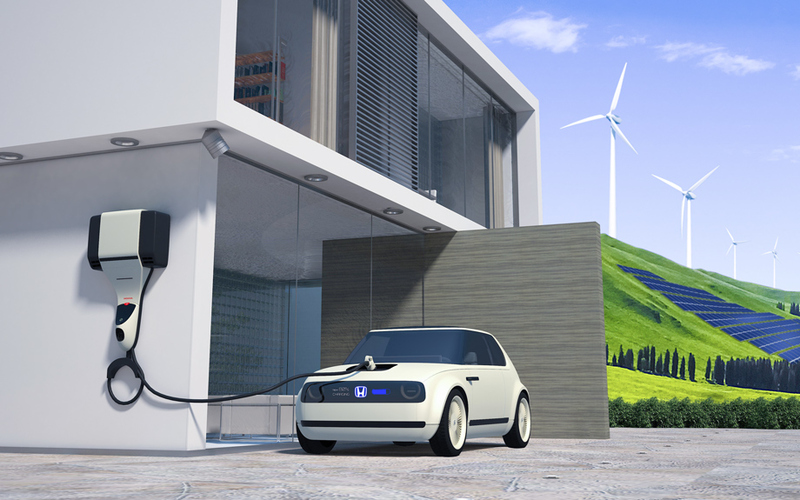 The car is capable of traveling nearly 500 miles on a single charge. Beyond that it includes technology for level 5 autonomous driving, meaning there are no steering or pedal controls in the interior. The design is the most futuristic looking of the bunch, a sure bet for a sci-fi film cameo sometime soon. An interesting feature of the Aicon’s design is the replacement of the headlights and taillights with hundreds of triangular pixels that can display different patterns to make the car visible at night or in changing weather conditions. 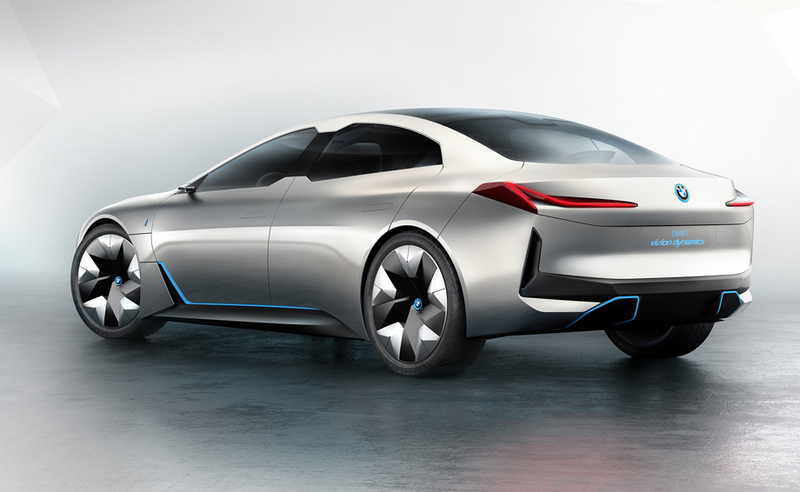 The Vision Dynamics concept is how BMW might expand their ‘i’ brand currently occupied by the compact i3 and i8 sports car. This four-door Gran Coupe is clearly aimed at Tesla’s Model S. BMW says the concept has a range of 373 miles and a top speed of 120 mph. As with some other established automakers, BMW has had to find a way to create some design transition between their internal combustion vehicles and EV’s. BMW’s traditional dual ‘kidney grille’ has been abstracted into a singular shape that shields vehicle sensors. The execution here looks forced and not very elegant. 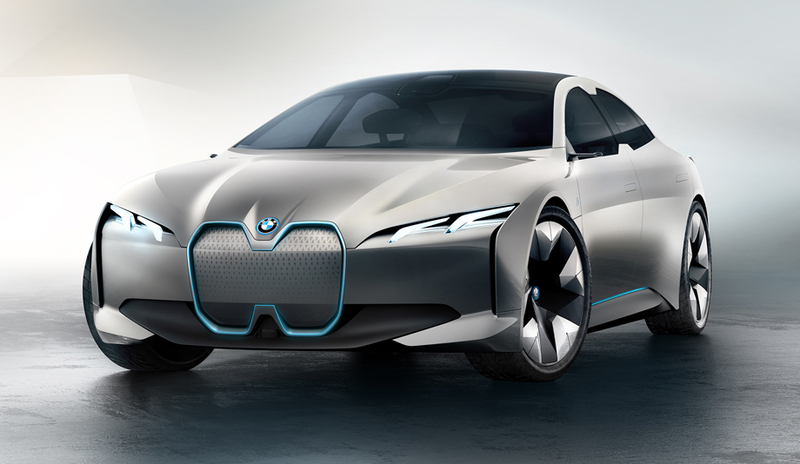 The Vision Dynamics concept is part of BMW’s NUMBER ONE > NEXT strategy, which will have 25 electrified models for sale, 12 of those pure EV’s by 2025. Going against current electric vehicle design trends is the Urban EV Concept. It is a small three door hatchback that harkens back to the first generation Honda Civics of the late 1970’s. 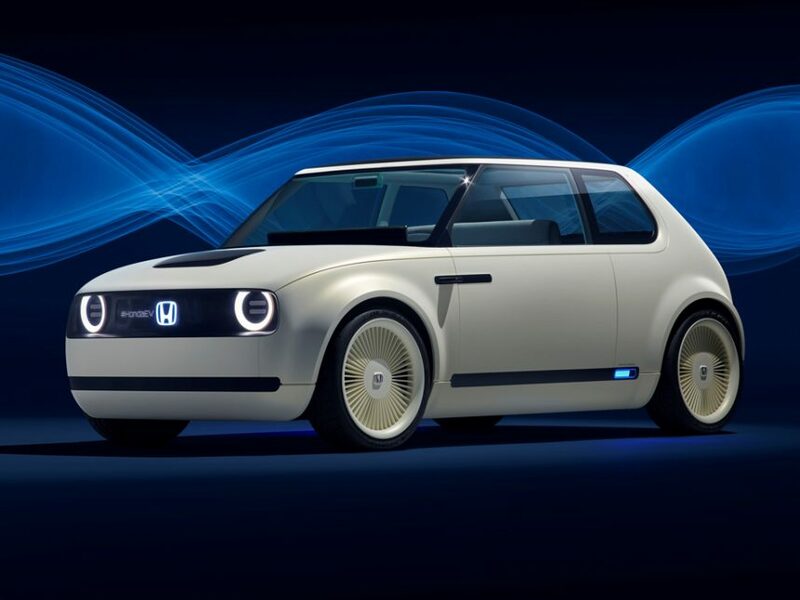 Honda hasn’t released much info on specs but the automakers says this is a preview of a production model destined for Europe in 2019. They also showed the Power Manager concept, an electricity storage and vehicle charging device somewhat similar to Tesla’s Powerwall. Mercedes-Benz offers a look at a compact EV they might develop for their EQ brand. 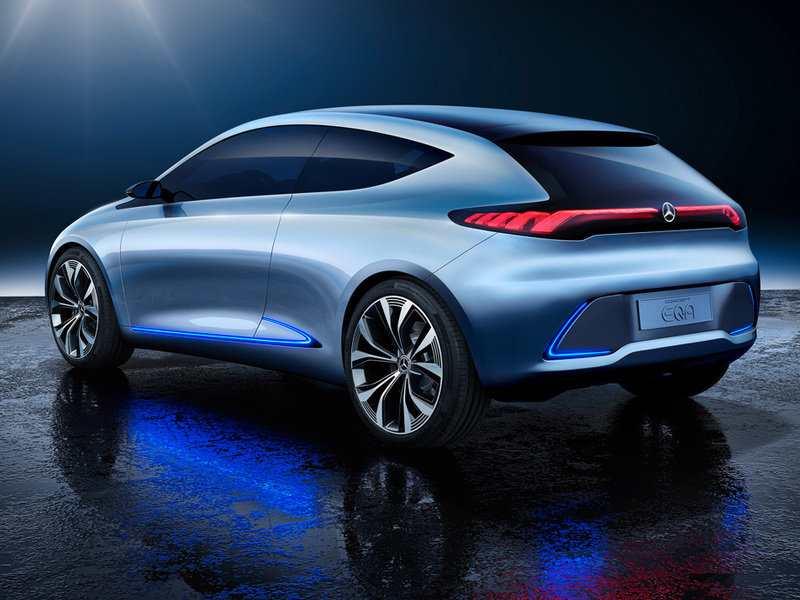 The Concept EQA has dual electric motors and Mercedes estimates a range at just under 250 miles. The EQA follows the clean styling language set by the EQ SUV concept shown in 2016 and expected to debut as a production vehicle in 2018. Other than the front digital display, or ‘virtual grille’, the EQA doesn’t appear to be that far off from a production model either. 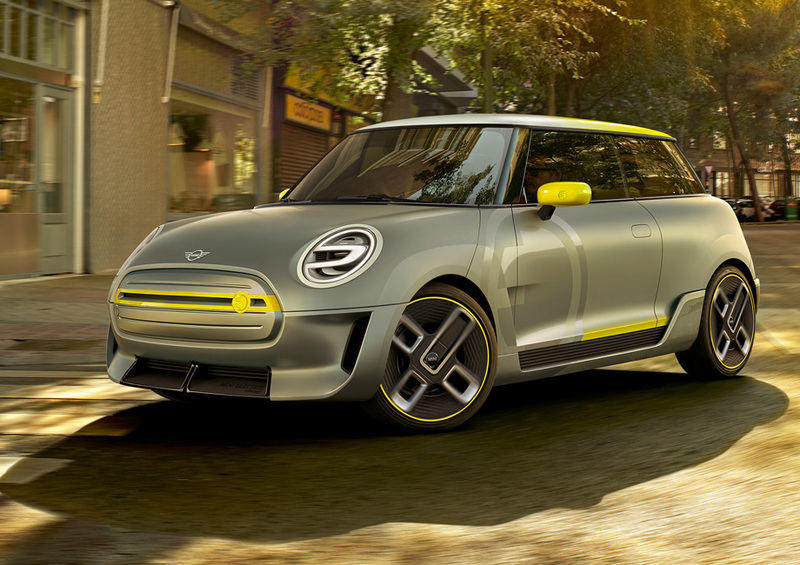 The first fully electric car produced by the BMW Group, which includes MINI was the 2009 MINI E. There were 600 used as field test vehicles by people in real day to day driving. 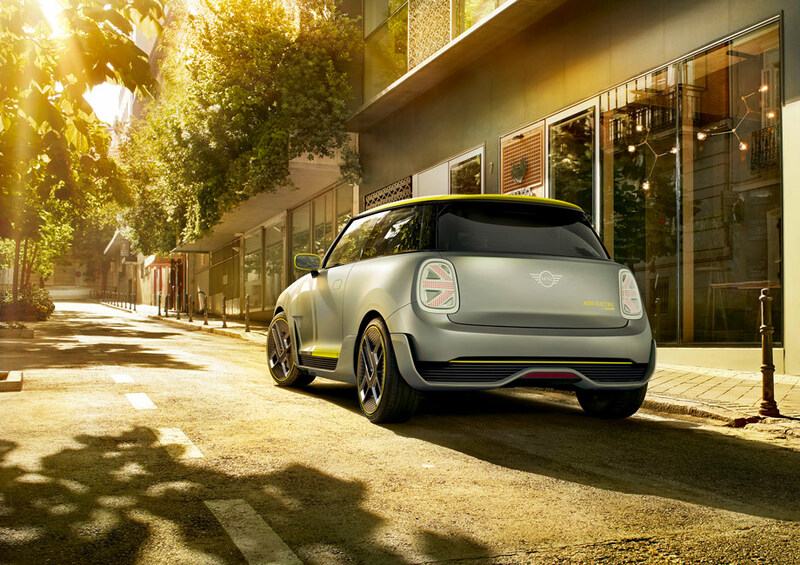 The next evolution of that program is the MINI Electric concept. It shows how the brand might transition to a fully electric model. Much of the identifiable design elements remain but they’ve been reinterpreted in function. The hexagon front grille for instance has been smoothed over to become an aerodynamic surface accent. The asymmetrical wheels inforporate 3D printed components MINI says could one day allow for more individualized customization. 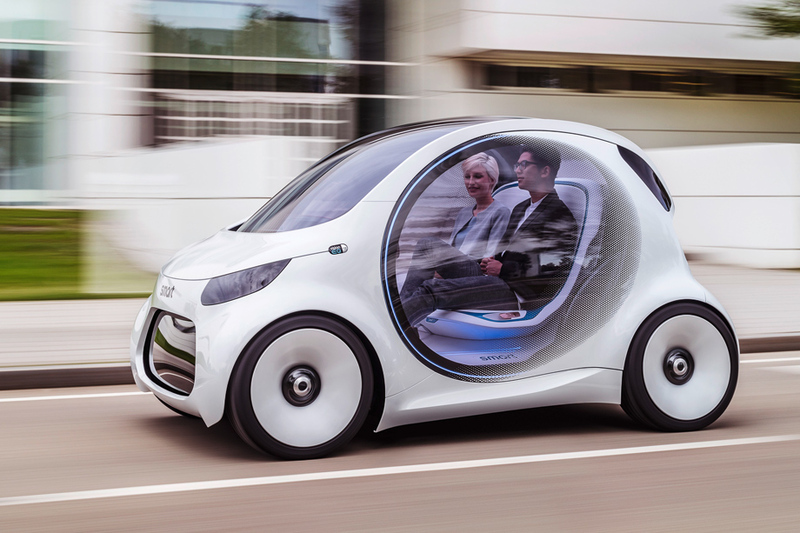 Less of a car and more like a robotic taxi, the Vision EQ fortwo is a look at a future urban car sharing concept. It is electrically powered and can drive itself, elimination the need for a steering wheel or pedal controls in the interior. 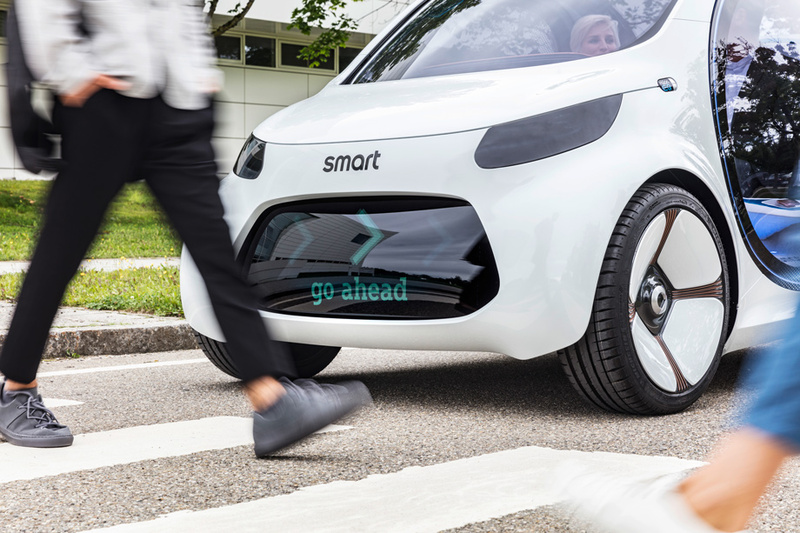 The autonomous function of the car also allows it to drive itself to a charging dock and swarm with other EQ fortwo’s to share electricity to the grid during high demand. Of the interesting design features is a front display screen that communicates messages to pedestrians in multiple languages. Rounding out this list is the EV crossover from VW bearing the weird name CROZZ. 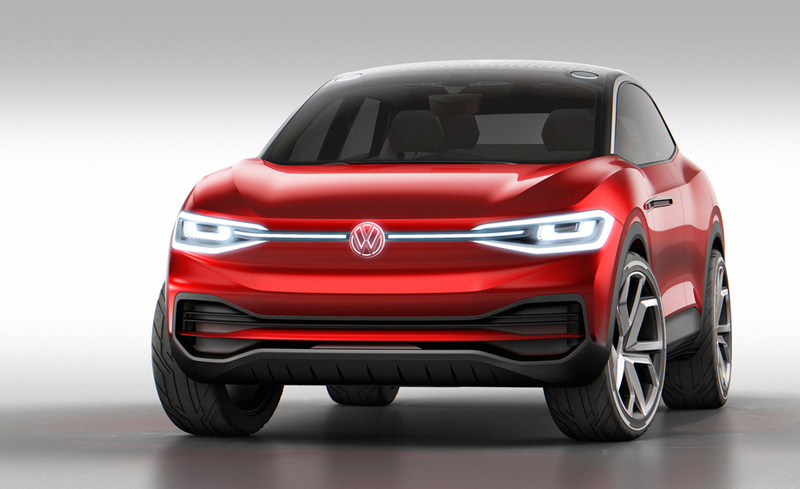 This isn’t a new concept from VW, it was debuted earlier in 2017 at the Shanghai Auto Show. What’s new is some production refinement that makes this more like a prototype for the production model that will go on sale in 2020. 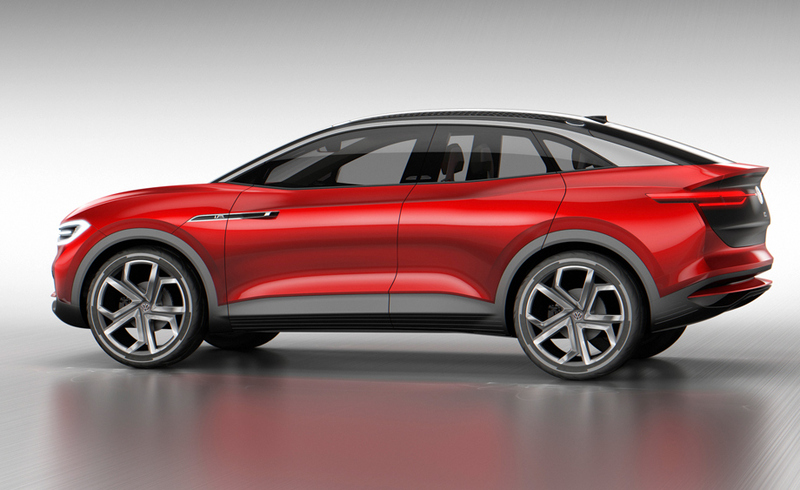 The CROZZ is part of a trio of all-electric vehicles VW intends to release by 2022.